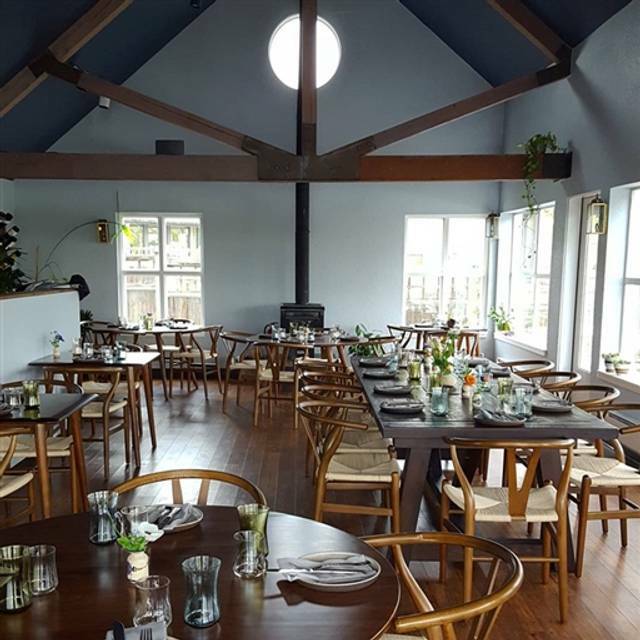 Ursa Minor is a 45-seat restaurant located in the heart of Lopez Island, Washington. 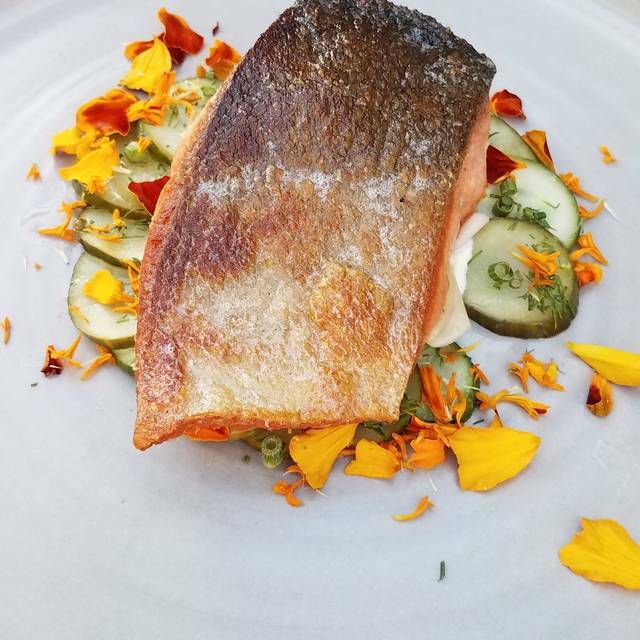 Offering a creative agrarian northwest cuisine in a well appointed atmosphere, Ursa Minor is a destination that is uniquely Lopez, where one can come to have an experience that reflects the idyllic island setting. 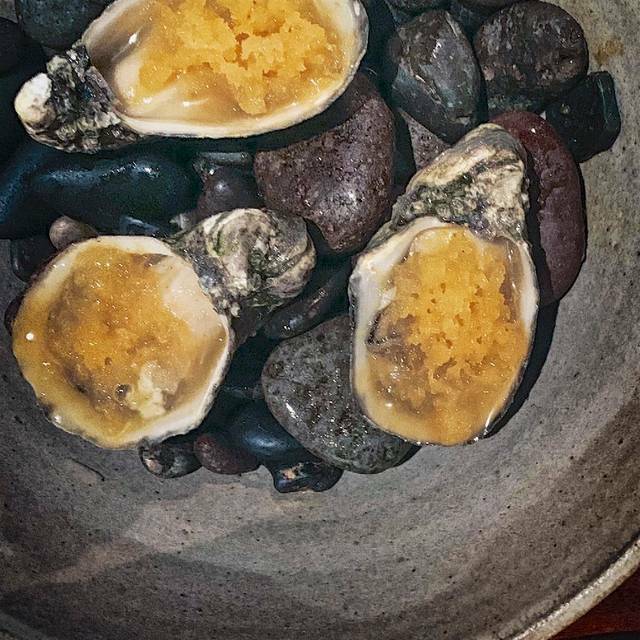 Chef Nick Coffey works closely with local farmers, fishermen and foragers to offer a constantly evolving menu of inventive small plates, complimented by a unique list of natural wines. We loved everything about Ursa Minor. The space is adorable, the food is fantastic and we had the best service from the minute we walked in the door. Completely unique and unpretentious... Ursa Minor is an experience to seek out. This restaurant is an incredible Jewel for Lopez Village! The service was excellent; the menu offerings blew us away with their flavor and inventiveness. We highly recommend! We shared the menu item 'potatoes, fermented veg, yolk sauce, whey & salmon roe', next the 'salish sea halibut, celery root, rutabaga, nettles & hazelnuts', and the 'rabbit, grains, mushrooms, truffle & black garlic'. Of these the potato dish was my favorite. Then finished up with the 'pumpkin seed miso ice cream, malt & honey crumbles'. Nice selection of wine, interesting selection of beer. The attention to every little detail is what makes this place so special. I love eating here and if you haven't yet you should. Beautiful food and atmosphere, the best in the area for “northwest agrarian” and prices are reasonable too. The cocktails are phenomenal and wine list is very unique. Highly recommend it. This was the third time at Ursa Minor and it continues to be amazing. 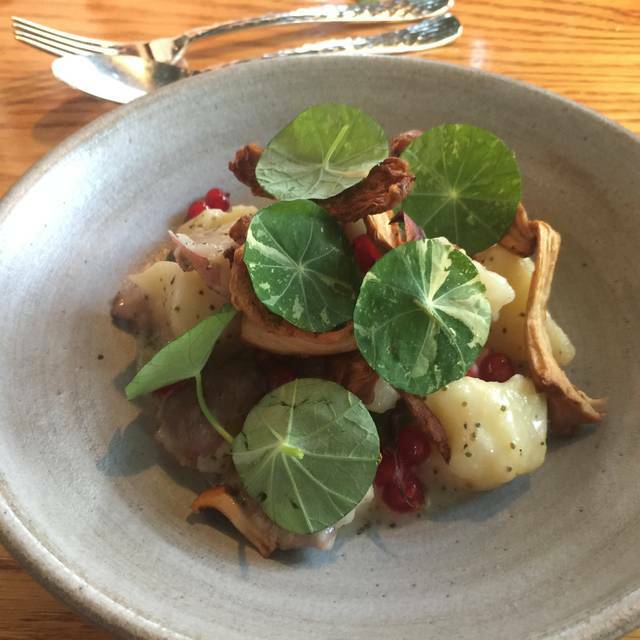 The food is imaginative, seasonal and pays attention to local sourcing. The flavors in the various dishes are incredible. If you are looking for a creative palette and respect for the fresh ingredients, this is the place for you! We had a wonderful evening here, the food is clever and creative and the atmosphere was lovely. My dinner companion and I left inspired and in the glow of a wonderful experience. Unusual flavor combinations and ingredients that were fabulous! THE best ever dinner. Nick continues to wow us at every turn. Nova adds the perfect touch to making us feel so very welcome and at home in their restaurant. We just returned from an anniversary trip to the San Juan Islands. Being off-season, many restaurant options are limited in December. But I am ever so grateful that Ursa Minor was open during our stay. 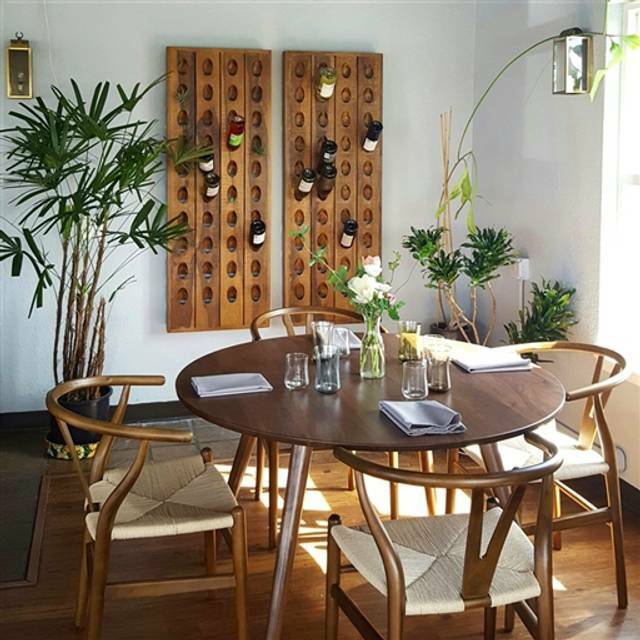 It's located in a beautiful, quiet space and features some truly incredible dishes. My wife and I are still talking about the cauliflower dish and the smoked brown butter and bread. Everything was terrific, though. 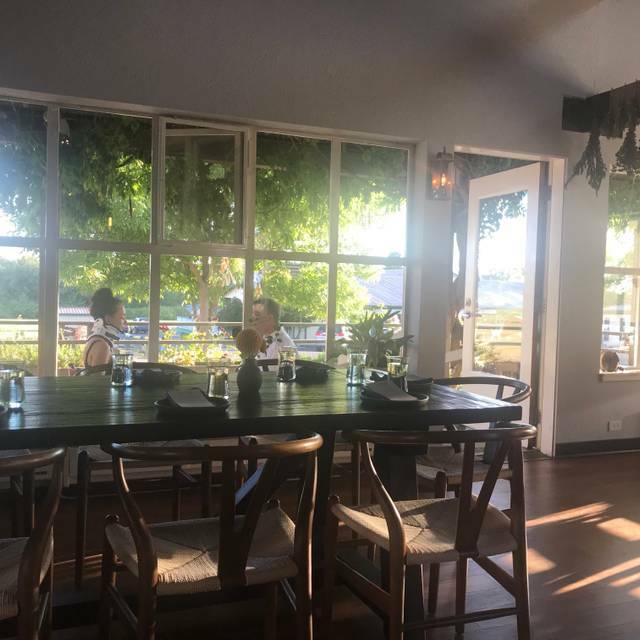 We celebrated our anniversary with an early November trip to Lopez Island, including dinner at Ursa Minor. Loved going in the off-season--we were about 30 mins early to our 6:30pm reservation, but staff was super-accommodating and sat us early. Food was innovatively local (octopus who got caught in the spot prawn traps) without being intimidating or overly complex. Looking forward to returning here in different seasons to try something new. There is an artist at work in the kitchen at Ursa Minor. Every bite is exquisite! A phenomenal restaurant! The food and drinks were amazing and the staff provided excellent service. I appreciate their use of fresh, local ingredients. The menu changes regularly and is inventive with outstanding flavors. Everything was fantastic from the house negroni to the hay ice cream with poached pears and honey crumbles. However, I especially enjoyed the cauliflower with toasted yeast, yoghurt and cured yoke and the chicken with black garlic. I will definitely go back next time I am on Lopez Island. We arrived at sunset when the brilliant pink-orange sky was casting a magical glow on the dining room. We asked our server, who we later learned was co-owner Nova Askue, to surprise us with her choices of an aperitif, a selection of dishes and a bottle of wine. We were greatly rewarded. Every drink, every dish, even the bread, was inspired—by the place, by the freshest ingredients available and especially by chef's exceptional creativity. We cannot wait to go back. You might have to take a ferry boat to get here but that will only add to the wonderful experience that is Ursa Minor. I have to admit that I had reservations about the fabulousness of this place since it was getting wild accolades but they are ALL true! Every single bite we had was delish and the service superb. Do yourself a favor and hoof it up to Lopez. Fantastic restaurant on Lopez. Excellent food. Beautiful space. Great people. Love it! Wonderful ambiance. The owners are delightful and the menu is very interesting. This is a place that is perfect for a special occasion. Very nice and friendly spot. Portions are a bit small. Food very creative and interesting and well presented. We really enjoyed the dinner. The menu is quite unique. We ordered all of the items on the regular menu (not the appetizers) and shared. All the food was excellent. Also, the food was served at the right temperature and looked beautiful.. The only thing that disappointed us was the wine and liquor service. We each ordered one drink before dinner and 2 glasses of wine with the meal. We had to ask multiple times to get our drinks which meant we were not always able to enjoy a food with the beverage we wanted to pair with it. This seemed to be due to a shortage of servers and overlapping duties between service and alcohol prep. For the prices we paid, this should not happen. The restaurant is small and was never full the whole time we were there. In spite of this glitch, we recommend it for an interesting dining experience. Wonderful in every way. Great service and food, no fussiness. Dinner was well-paced and never rushed. We were so looking forward to this restaurant. The space and decor are beautiful. The service was very nice. The bread was fantastic (from a Lopez bakery). But the food ... just tried a little too hard. A little too much striving to be different, edgy. 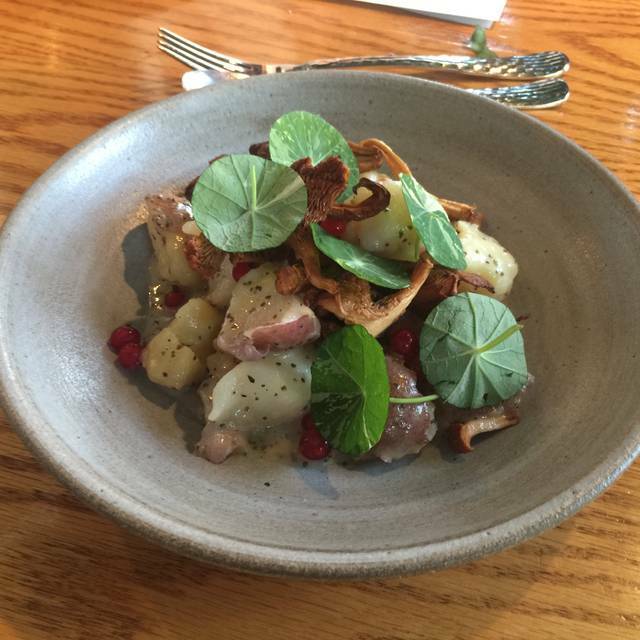 To pull off edgy along with pricey, the food has to be really delicious, not just creative and a bit weird. I feel like this wasn't quite there. Fantastic food and beautiful presentation. Everything was a work of art. We got 6 dishes (you need a lot) including a dessert. The bread was my 4th favorite dish and it was insanely good. Some of the best bread and butter I’ve enjoyed. Not the cheapest but I’ve paid $60 to other restaurants and not gotten nearly as much enjoyment. I understand that it’s hard to open a restaurant on an island so I don’t fault them. Top notch. Everyone who visits Lopez should go here. It’s a hallmark. Such a good experience. The food was wonderful, the decor and spacing was perfect. Celebrating a special day. View of bay is amazing. We were seated right away. Wait staff was friendly and made nice recommendations for both food and pairing. A treat. We would eat here again. 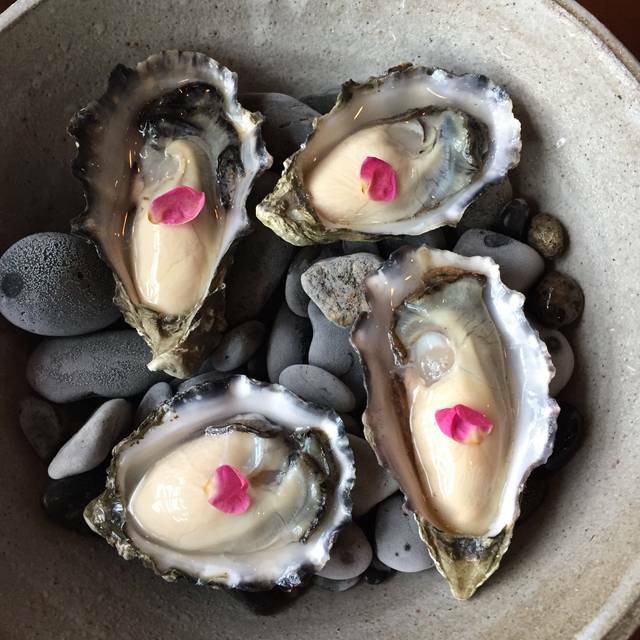 We celebrated our 44th anniversary on Lopez Island, and Ursa Minor was at the top of our dining list. It didn't disappoint. A lovely little resto, creative cuisine and fine service. Highly recommend. Food was good. Service a little lackluster. Not the friendliest staff. Quick to have orders out. Well presented dishes, perhaps a tad on the expensive side for the portions provided for some entrees. This is food entertainment at its best, and delicious! What an amazing meal. Our party of 4 ordered everything on the menu minus 2 snacks. The creativity and excellence that goes into preparing and presenting each plate was inspiring. Service is excellent, ambiance is simple and modern. This restaurant is pricey, but worth every penny. This is an interesting endeavor. A limited menu, and a bit pricey. But the effort is directed toward locally sourced ingredients and creative combinations, which is what makes it interesting. Give it a try for something different! Excellent service. 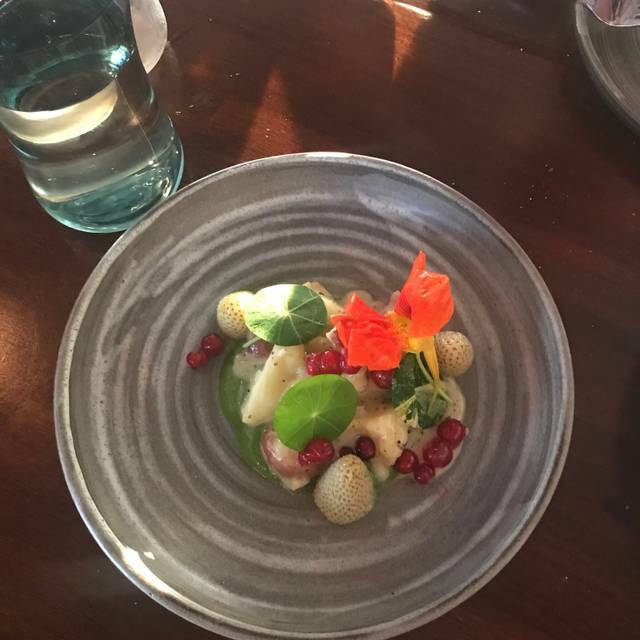 We went to Ursa Minor for our anniversary and it was fantastic, service and food were impeccable. Anyone traveling to Lopez looking for a foodie experience should make a reservation, you will not be disappointed. Creative and flavorful. Loved the use of local ingredients. We've dined here 4 times in the past year. Food is creative, beautifully presented, and full of flavor. Owners are always present as well. Amazing meal, terrific atmosphere. Made our entire trip.